Where did Thomas Jefferson write they Declaration of Independence? This question puzzled historians and antiquarians for nearly 100 years and several old Philadlephia houses claimed the honor. In 1883 Thomas Donaldson established the fact that Jefferson established the fact that Jefferson penned the immortal document in the home of Jacob Graeff Jr., 700 Market Street, Philadelphia. The processes by which he arrived at this conclusion form interesting reading today. Early Pennsylvania tradition had it that the document was penned at the Indian Queen, an ancient hostelry near the State House in Philadelphia, now Independence Hall. This tradition was based upon the assumption that Jefferson frequently rented rooms at the Indian Queen and the belief was that the year of 1776 was no exception. “So far, I state from written proof in my possession. At the time of writing the instrument (Declaration) I lodged at the house of a Mr. Graff, a new brick house, three stories high, of which I rented the second floor, consisting of a parlor and bedroom ready and furnished. 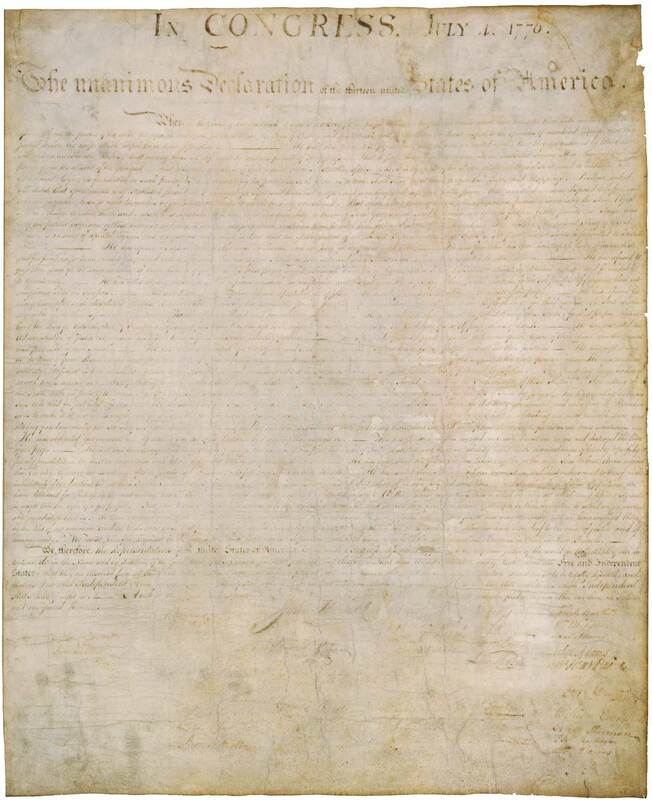 In that parlor I wrote habitually and in it this paper (the Declaration) particularly. The proprietor, Graff was a young man, son of a German and then newly married. I think that he was a bricklayer.” (Jacob Graeff Jr. was a building contractor 1774-1808). From other sources it was learned that Jefferson took rooms at Graff’s on May 23rd, 1776, paying 35 schillings sterling per week. He took his meals elsewhere. In 1777 Jacob Graeff sold his house on Market Street to Jacob Hiltzheimer, just a few weeks before that lover of fine horses was forced to flee from Philadelphia to escape the invading British, and make his new home at Angelica in Berks County. Jefferson’s letter had established the fact that the Declaration was written in the Graeff house, but there was still some doubt as to just which house on Market Street had been the original Graeff dwelling. Jefferson was not sure, 50 years after the writing of the Declaration, whether it had been 700 or 702 Market Street. He did remember that the house stood alone at the time of his tenancy. All records showed that both houses were built and owned by Jacob Graeff in 1777. In 1883 Thomas Donaldson watched the demolition of the two colonial brick houses which stood on the southwest corner of Seventh and Market Streets. He noted the condition of the walls; the way the rafters and beams were placed and how the masonry was joined. His observations proved, beyond the vestige of a doubt that number 700 was built before 702 and that therefore that was the spot where the Declaration of Independence was born.